The Farm cats are a curious clowder of felines. They have a big basket of toys at their disposal. One of their favorite simple toys is the ever popular ‘Nip Nanner but that is not what we are discussing today. All cats need toys to keep them occupied – yes, they can get bored and it can lead to cat depression. An antidote is to provide them with a variety of activities including your playing with them and providing interactive cat toys to keep them active and engaged. Products were provided for this post but all opinions are the Farm cats’ own. 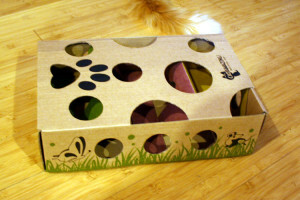 CatAmazing is a maze and puzzle toy for cats. You put it together for your cats and then add treats to it. they then have to seek out the treats in the different areas of the box. It’s not that complicated to put together although I am not the most adept person at inserting A into B if you know what I mean. I did manage to get it put together without issue and it was ready for action. Although Stinky does not play a huge role in the video she is by far the cat that enjoys this the most which is really wonderful. Stinky is old – 16+ years old and it is so nice for her to find interactive cat toys that make her play like a kitten. Her brothers can intimidate her sometimes so she will stay away when they are playing together. You can see her having an extended bit of fun in this second video below. CatAmazing is only one of several interactive cat toys here in the yurt. 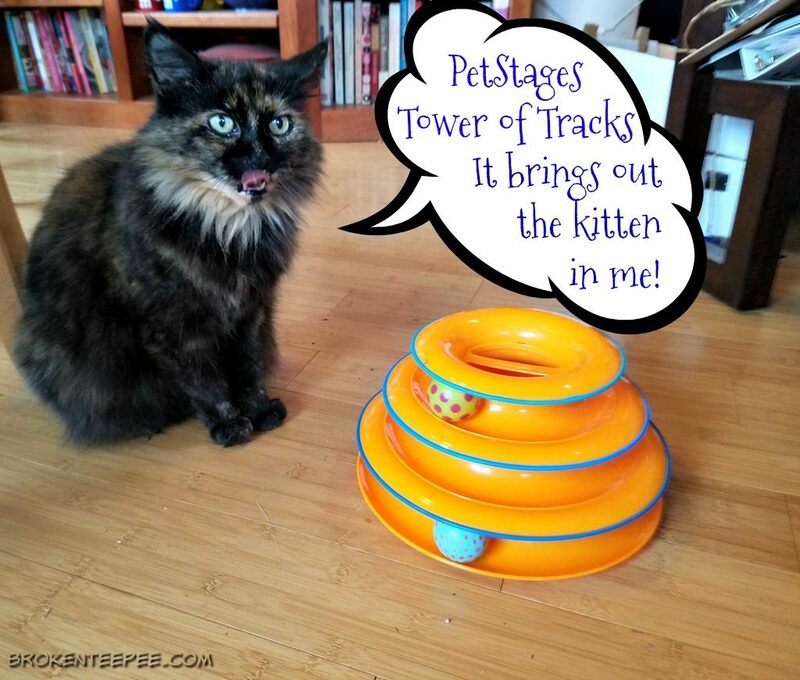 The Farm cats are also very fond of the Pet Stages Tower of Tracks; a well, tower of tracks with several balls in it that the cats push and whap. This is Pumpkin’s favorite. 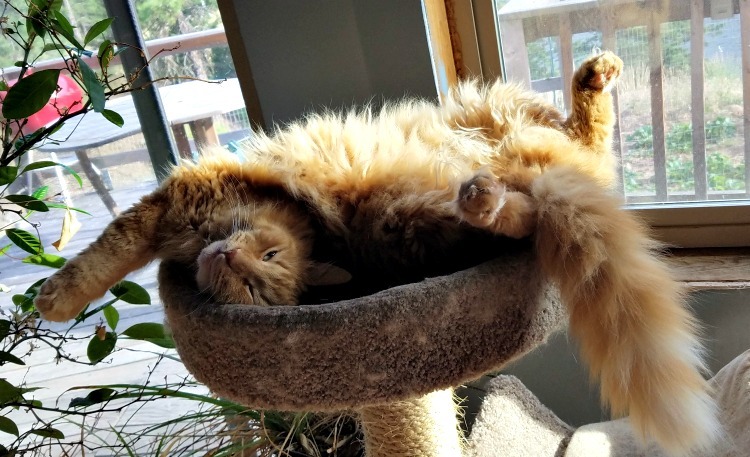 And if you recall Harry loves his Gone Fishin’ suction cup wand toy.All of these great interactive cat toys offer the Farm cats a way to keep themselves engaged when they can’t be outside or when they are not cat nappin’. Because we all know that cats are experts at napping. But now and then, they do wake up….